You keep telling me to climb the ladder, I've got to pay my dues. But as I rise the stakes get higher. Our February 2019 selection for Music of the Month is Leyla McCalla's Capitalist Blues. 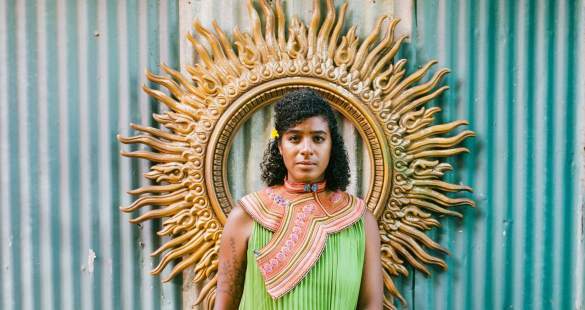 The former Carolina Chocolate Drop member has come a long way in her solo career, pushing the limits of her multi-cultural background in American and Caribbean music. Capitalist Blues puts her in the songwriter mode, penning all but one song (the wonderful Growling Tiger track you se above). It includes a cast of Louisiana musicians including Shannon Powell, Carl LeBlanc, Louis Michot, Corey Ledet, as well as the Haitian musical collective Lakou Mizik, and many more. 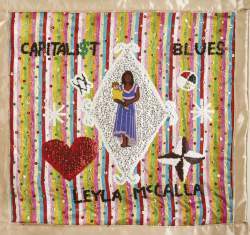 McCalla writes: Capitalist Blues is comprised of songs that reflect my experience living in a capitalist society, where we are always expected to do more, be more, and have more. While many of these songs are drawn from my most personal experiences of motherhood, I also find myself questioning the myriad inequities of the world that we live in and how that juxtaposes our ideals in a democratic society. As a musician, I never imagined that the Capitalist Blues would make me so damn happy, and perhaps that represents the paradox of it all. I think you will find the songs compelling, and the music unique and entertaining. You can read more about Leyla McCalla's music in Michael Stone's review in RootsWorld. These recordings were donated by Jazz Village/PIAS, so your subscription or one time purchase all goes to support the magazine and radio programs. We thank them all for their generous support.